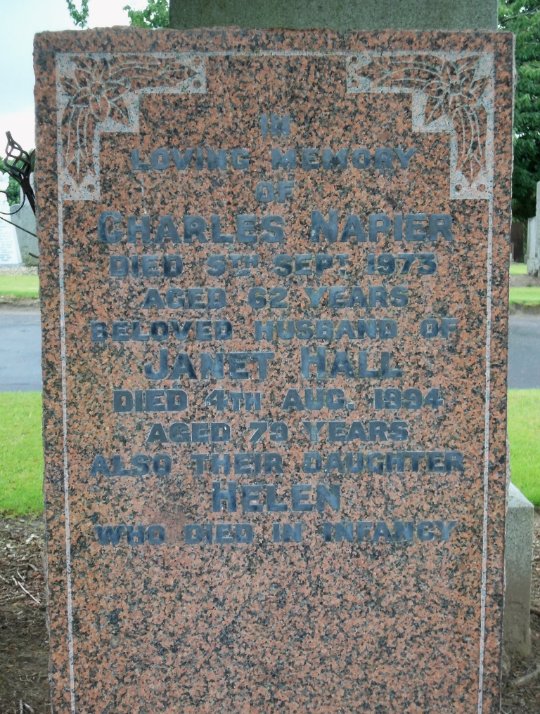 The Warriors - Established 1884? 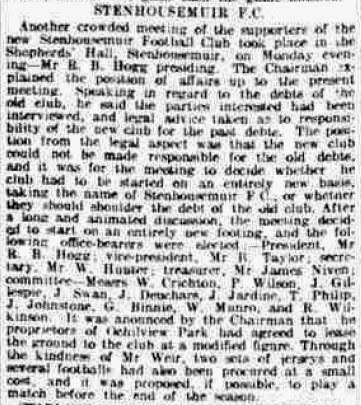 Well, I have read the books, articles, match reports of Stenhousemuir in ye olde days of yore. Young kids playing on the Tryst; several successful junior sides merging to form the senior club, first at Goschen Park, then later at their spiritual home of Ochilview Pk. Well it says so on their badge! Well, it would seem those who mill about Govan were not the first to think that a club going out of business because they were so in debt that they could no longer function, who decided that the best route would be to ignore their past debts but keep their 'football history'. Because guess what I came across whilst trying to find out about a Falkirk FC player guesting with another club on a free Saturday? 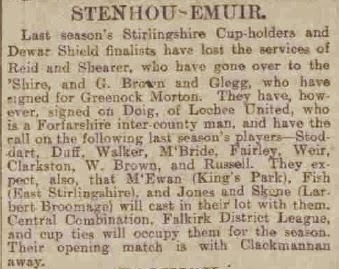 That Stenhousemuir had already pulled this trick in 1919. You can read for yourself, the profligate use of 'old club' & 'new club' but when it cuts to the chase it comes down to the last sentence "After a long and animated discussion, the meeting decided to start on an entirely new footing." 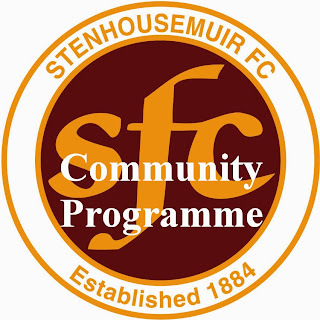 So there we have it, Stenhousemuir FC formed 1919 [at the very earliest], still a community club, just do not believe the history pages of their website, their books, or any article post 1919. We are all used to seeing the previews of the up and coming season in our press, this of course is nothing new. Way back in the day these were as popular [if not as lengthy] as they are today. Way back at the start of the last century there was an article in the Evening Telegragh giving a brief sketch on the clubs in Scotland and what they were up to for the new season. The big difference for the clubs in Falkirk District was that there were five clubs included then instead of the modern three. 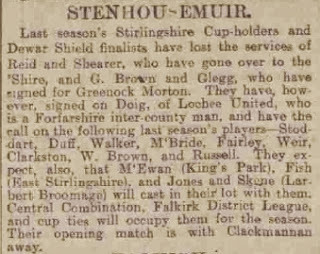 First up, of course, were East Stirlingshire, as the biggest and most successful team in the district they got the biggest article [and a player pic]. East Stirling though going through what was relatively their strongest era tended to overstretch themselves, playing far too many competitive matches in the season, this was of course partly due to being good in local cups, partly joining new leagues looking for a better standard of opponent. 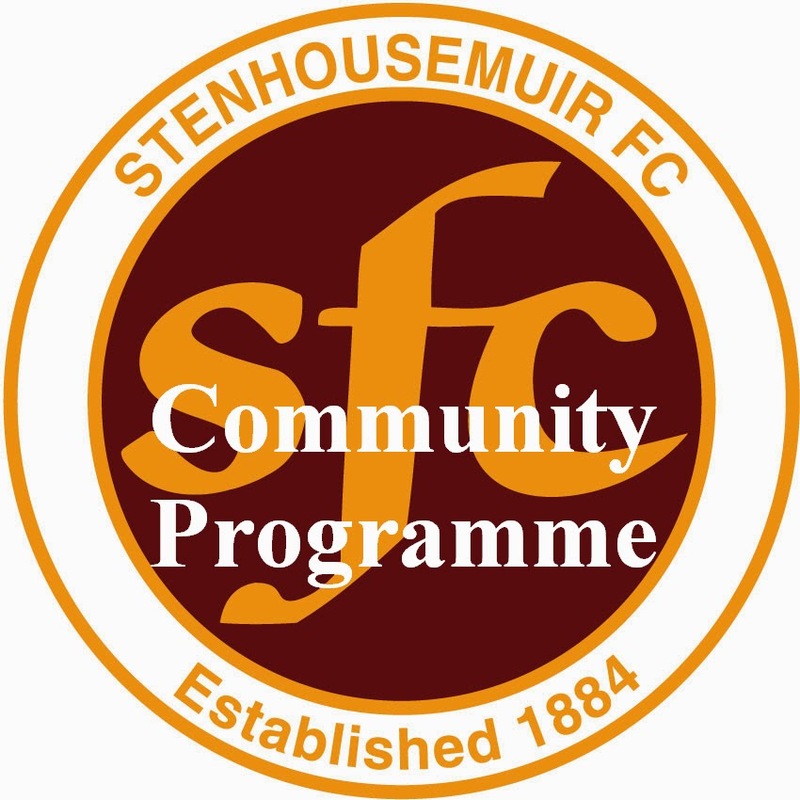 Stenhousemuir were reviewed next, Stenhousemuir were then as now a village team that occasionally punched above their weight, but inevitably lost their players almost as soon as they unearthed them. They were ambling along just fine competing in the local competitions and more often than not progressing far enough in the national cups to keep themselves noticed. Falkirk were severely underperforming at this point, they had been struggling with the transition to professionalism for nearly a decade and there were strong calls from within the club for a return to amateurism [as King's Park of Stirling had recently done] costs were outstripping incomes and the [largely] Glaswegian journeymen pros had frankly not cut the mustard. 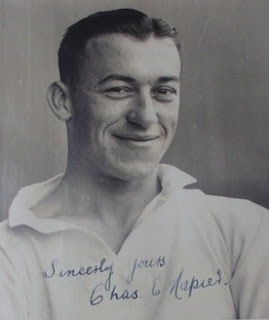 Things were now turning as the club had cast its eyes upon largely local talent for the future. 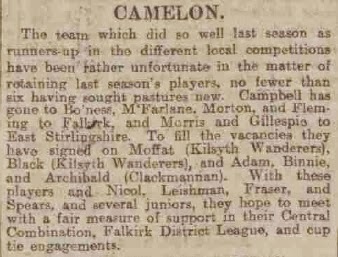 Camelon FC were an enigma, as strong as the 'shire or Falkirk in their day, they suffered from the village club malaise even more than Stenhousemuir due to their closer proximity to Falkirk. They struggled mainly with keeping hold of enough players especially after the advent of professionalism, they simply could not afford to keep any of their good players for more than a season at most. 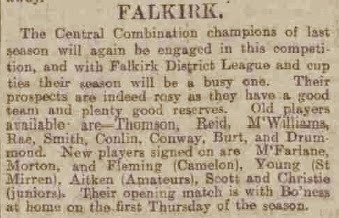 Last of all was the newest of the Falkirk District clubs, the Ams, Falkirk Amateurs were a completely different kettle of fish to the other four as they showed no inclination towards the dog eat dog world of league football. They were members of the Falkirk & District League, but as this was just a competition put on top of the already exisiting regular friendlies it hardly counts. The Ams plied away in every cup they could enter [usually not lasting very long] and friendlies.